I met Jenna Lorick at East Texas Baptist University. She was Jenna Draper then and my college roommate. Jenna married her college sweetheart about a month before I married mine and we both entered into the crazy, exciting life of a pastor’s wife. I’m excited for you to hear Jenna’s heart in today’s post. To read more from Jenna (including her adoption story) you can visit her blog here. 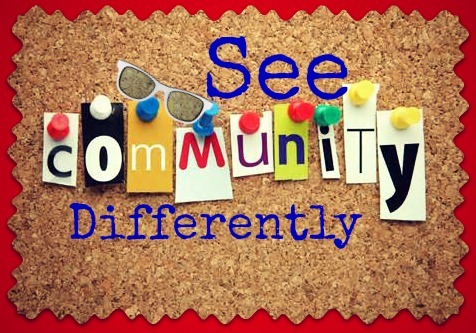 Community…one of the new buzz words finding it’s way into most Christian circles today. It’s the idea of doing life together. Having community is knowing there is someone there, someone to walk through the hard times and the best of times with you. To be honest I have had what I like to call “automatic community” for the last 11 years of my life. You see my husband has severed on staff at churches our entire married life. Moving to a new church is like having an automatic new set of friends. Everyone is excited to meet the pastor and his family and there is no shortage of community. I totally took it for granted! In the summer of 2012, God asked us to make a big change. My husband left the pastorate to serve our state convention as the director or evangelism. This meant moving to a new city and a new house just 8 days before we boarded a plane to Uganda where I would spend the next 6 weeks adopting our precious daughter. When I finally arrived home on Thanksgiving with our sweet Kenzi girl it was time to unpack the house, celebrate Christmas and New Years and host all of our family and friends who where coming to meet our daughter for the first time. I remember waking up after all of the craziness and excitement died down and being scared to death. I lived in a new city, my husband had a new job, our kids were at new schools, I wasn’t the pastor’s wife anymore, we didn’t have a home church, and I didn’t have a single friend…so long automatic community. I was a mess and I wasn’t exactly sure where I fit in anymore. I was frustrated with the Lord and His timing. Why did all of this have to be so crazy? Why couldn’t we have moved AFTER we brought Kenzi home and had some time to settle in as a family 6? I had so many questions. That was not exactly the answer I was looking for. However, slowly I began to trust and lean not on my own understanding. We bonded as a family of 6 and had some of the most precious family moments that we may not have gotten to experience if we had been in a place where we had our automatic community. Our boys bonded with their sister and with each other in ways they had never experienced before. What I started out complaining about, I ended up thanking Him for. His ways really are so good. Once we felt solid as a new family of 6 it didn’t take long for me to have a longing for community again. I needed a place to belong. I wanted people to do this crazy life of ours with. I began praying that the Lord would help us to find community. Of course when it didn’t happen in my timing I got frustrated with the Lord once again. 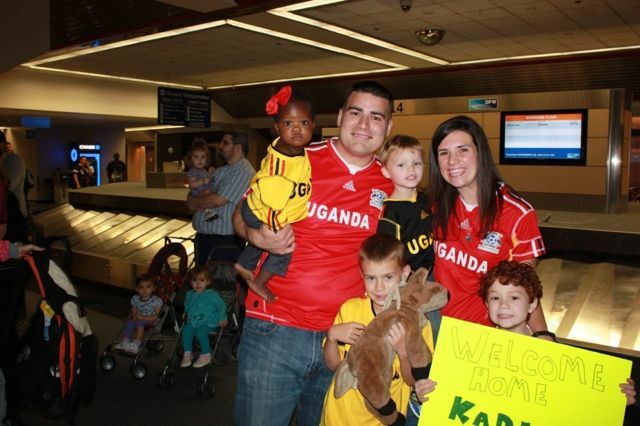 I read about the community sweet friends of ours had found while they were living in Uganda and I was jealous. I asked the Lord why He had answered my friends prayer for community and not mine. This time the answer was more than a whisper in my heart. Ouch! That one stung quite a bit! I love the way God meets us right where we are. It’s true, I was looking for a community to bless me. I wanted friends to walk through life with ME and to bless MY life. I was not looking for a community where I could serve and be a blessing. Not long after that God brought two precious ladies into my life. One I met in the parking lot where we pick up our kiddos from school. The other I met at a playdate I decided to crash. God really does work in mysterious ways! We all three had an instant connection and it seemed like we had been friends for years. My husband encouraged me to start a bible study in my home with these new friends. I was scared. What if they think I am crazy? What if they don’t want to? There is no way we can make it work, we all have kids, how would we even get anything accomplished with all of the kids running around? I had a million excuses. And then I remembered what the Lord had spoken to my heart about being a blessing instead of looking for a blessing. I set my fears and doubts aside and sent them a text about having a bible study. Almost instantly the reply came back…YES! For 6 months now the three of us have experienced real community as we meet together each Wednesday to study and discuss His word, to pray for one another, to celebrate our triumphs, and hold each others hands through our losses. I have been so blessed by these sweet friends and our times together! We were made to encourage and build each other up (1 Thessalonians 5:11), to stir one another on to love and good works (Hebrews 10:24), to sharpen one another (Proverbs 27:17), to bear each other’s burdens (Galatians 6:2), and to be encouraged by one another’s faith (Romans 1:12). 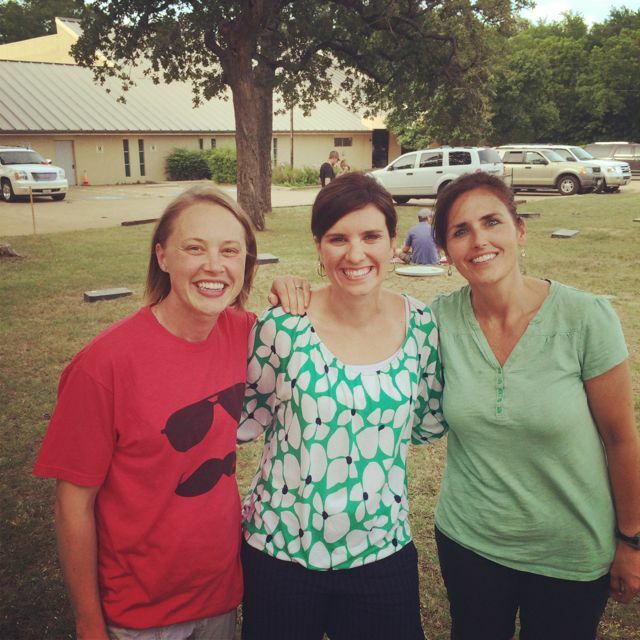 We were made for community! Don’t let fear hold you back. Don’t just look for a community to bless you but look for a community where God can use you to be a blessing…I promise you will still be the one who is blessed! And don’t be surprised if you find that community in some crazy place…like a parking lot! Question: How has your life been impacted through community?